Hermès Eau De Citron Noir Eau de Cologne 50ml Spray. The differences are the amount or the concentration of oils that are in the scents. The higher the concentration of oils, the longer your scent will last, and the less you should need to apply. Hermès Eau de Citron Noir EDC 100ml EDC MINI 7.5 ml SOAP parf. Hermès Eau de Citron Noir Edc 100 Ml Mini 7, 5ml Seife-Parf. 50 G (Unisex). Eau de Citron Noir. Serie Eau de Citron Noir. Eau de Cologne 100 ml. Marke Afnan. Supremacy Noir. Serie Supremacy Noir. Produktart Eau De Parfum. Maßeinheit 100 ml. San Marino and Monaco 5,95 EUR. Hailing from the fruity spicy family of fragrances, Intox noir boasts top notes of Bergamot and Mandarin moving on to middle notes of Violet and Jasmine. The base notes include Paraguay Guaiac Wood, Indonesian Patchouli and Guatemalan Cardamom. La Petite robe Noire. Eau de Parfum 100 ml. 95% LEFT. W / O BOX ! A punto de finalizar. En los anuncios viene especificado el lugar de origen del producto. Anuncios a punto de finalizar. Nuevos productos. Fragancias unisex. Fragancias para ella. Aseo y baño. Por que elegirnos. EAU DE LACOSTE L.12.12 NOIR edt vapo 50 ml. Fragrance Type: Eau de Toilette. All our products are 100% genuine. La Petite Robe Noire Ma Nouvelle Fraiche Eau de Toilette Spray 100 ml. Fragrance Type: Eau de Toilette. All our products are 100% genuine. Eau Parfumee au the noir by Bvlgari For Men & Women Eau De Cologne Spray 5oz. Tom Ford Noir De Noir 100ml EDP: Private Blend. Condition is New. Dispatched with Royal Mail 2nd Class tracked. Feel free to message me for any more information. Atomiser Will give roughly around 40-60 Sprays. Base notes are mastic or lentisque, olibanum, incense, vanilla, vetiver and oak. 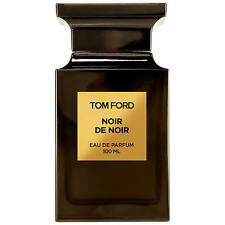 Tom Ford Noir De Noir Eau Du Parfum for Unisex. Pocket Size Ideal to Slip into Handbags & Pockets. Buy 2x and Get 1x Louis Vuitton Apogee f or FREE. Ideal for Travel Carry. Tom Ford Noir de Noir in 5ml (bottle in second pic). You will receive a 5ml bottle as shown in the second picture. 100% Authentic. A sensual incense note combines with bay leaf. The base finishes with sandalwood, tonka bean and a powerful shot of brown rum. FormatEXTRAIT DE PARFUM 100 ML SPRAY. EAN Does Not Apply. BIC (SWIFT): UNCRITM1MN4. 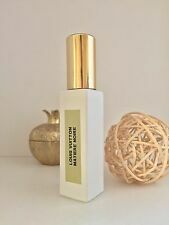 LA MAISON DE LA VANILLE NOIR EDP SPRAY 100 ML CONTINENTAL TUSCAN VANILLE RAISIN SPIRIT. L'Eau de Parfum BLACK TUSCANY è un'intensa sorpresa, con miele e frutta esotica in primo luogo. Ambrata e inebriante, questa straordinaria vaniglia è la fragranza di una donna che ama le prelibatezze e la dolce vita. EAU DE LACOSTE L.12.12 NOIR eau de toilette vaporizzatore 100 ml. Fragrance Type: Eau de Toilette. All our products are 100% genuine. Like a worn leather jacket that gets passed between you, leaving comforting flashbacks of the other in its scent. The night is deep with fragrant iris as you move quickly through the city. The buildings flash by and on the brisk air are more exotic notes of incense and Indonesian patchouli. With its design, the new edition reminds us of the famous "Encrier" designed by ReneLalique in 1913, Encre Noire Pour Elle in 2009 and Encre Noire Sport in 2013. The latest edition after moving towards a sporty interpretation of the original, the accent is now placed on intensive woodsy blend of cypress and vetiver. Amouroud Agarwood Noir Eau De Parfum. Amouroud Agarwood Noir Eau de Parfum is a provocative fragrance that blends rare ingredients with sensuous oud to create a spellbinding vision. Opening with top notes of apricot, saffron and pink pepper before it reveals a jasmine dominated heart of jasmine absolute, jasmine sambac, jasmine grandiflorum and French rose absolute. IL PROFVMO PATCHOULI NOIR 100 ML SPRAY EAU DE PARFUM " width="200" />. ProduttoreIL PROFVMO. From East to West, a mysterious character, universal and a creative spirit. Format100 ML EAU DE PARFUM SPRAY. ANTONIO ALEXANDRIA PARFUMS NOIR OBSCUR 50 ML EAU DE PARFUM SPRAY. Format50ml Eau de Parfum. Via Puccini 21. PROFUMIX SRL. Per acquisti multipli dello stesso prodotto contattateci per conoscerne la disponibilità. LALIQUE FRUITS DE MOUVEMENT EDP 100ML SPR NOIR PRE. Noir Absolu MUSC essence. 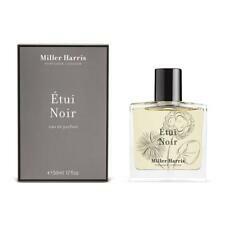 Serie Noir Absolu Musc Essence. Produktart Eau De Parfum. Maßeinheit 100 ml. San Marino and Monaco 5,95 EUR. Amouroud Agarwood Noir 100 Ml Spray Eau de Parfum " width="200" />. AGARWOOD Amouroud Noir is a unisex fragrance Oriental Woody group. Is a new fragrance. AGARWOOD Noir was launched in 2016. Format100 ML EAU DE PARFUM SPRAY. 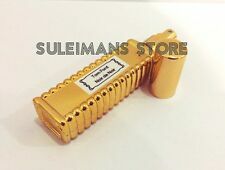 Amouroud Agarwood Noir Edp 100ml Spr. ANTONIO ALEXANDRIA PARFUMS NUIT ROUGE 50 ML EAU DE PARFUM SPRAY. Format50ml Eau de Parfum. Via Puccini 21. PROFUMIX SRL. Per acquisti multipli dello stesso prodotto contattateci per conoscerne la disponibilità. Serge Lutens Datura Noir Eau de Parfum 100ml Spray - For Her. The differences are the amount or the concentration of oils that are in the scents. The higher the concentration of oils, the longer your scent will last, and the less you should need to apply. Van Cleef & Arpels Cologne Noire EDP Eau De Parfum Unisex. Pigalle MOLECULES NOIR 100 ML SPRAY EAU DE PARFUM " width="200" />. Format100 ML EAU DE PARFUM SPRAY. EAN Does Not Apply. Per acquisti multipli dello stesso prodotto contattateci per conoscerne la disponibilità. Serge Lutens Serge Noire Eau de Parfum 50ml Spray. The differences are the amount or the concentration of oils that are in the scents. The higher the concentration of oils, the longer your scent will last, and the less you should need to apply. La Petite Robe Noire Ma Nouvelle Fraiche Eau de Toilette Spray 30 ml. Fragrance Type: Eau de Toilette. All our products are 100% genuine. Noir d'Orient < span class = "notranslate" > of < span class = "notranslate" > Evody Parfums < span class = "notranslate" > is a Spicy Woody fragrance unisex group. < span class = "notranslate" > Noir d'Orient < span class = "notranslate" > was launched in 2014. Stendhal Elixir Noir Eau De Parfum Spray 40ml. Fragrance Type: Eau de Parfum. All our products are 100% genuine. We have no affiliation with the manufacturer/designer. What is our oil fragrance?. DATURA NOIR edp vaporizzatore 50 ml. SERGE LUTENS. Fragrance Type: Eau de Parfum. All our products are 100% genuine. Tom Ford Sahara Noir in 5ml (bottle in second pic). You will receive a 5ml bottle as shown in the second picture. Sahara Noir is an oriental-woody scent based on incense. The heart blends frankincence essence Orpur®, cinnamon, cool papyrus extract, rose absolute from Morocco and Egyptian jasmin with honeyed and animalic shades of beeswax from Burma.The base centers around warm amber notes - made of labdanum absolute and ambreinol (an intense natural labdanum fraction), cedar, frankincense resin, benzoin, vanilla, oud and balsams. La Petite Robe Noire Eau de Toilette Spray 30 ml. Fragrance Type: Eau de Toilette. All our products are 100% genuine.